petition: Ask Weis Markets to Help Fight Superbugs! Ask Weis Markets to Help Fight Superbugs! Did you know that without even realizing it, you might be choosing to make superbugs – dangerous antibiotic-resistant bacteria – even stronger? Weis Markets, a regional grocery chain many of us know and love, has been selling chicken from Sanderson Farms as its store brand. Unlike the two other largest chicken producers in the country that have committed to help fight superbugs by not using human antibiotics, Sanderson boasts that it "has raised its broiler chickens with antibiotics for 70 years, and has no plans to change." The Fair Farms Wise Choice campaign is asking Weis Markets to fulfill its commitment to 'being good neighbors' by not selling Sanderson Farms chicken as their house brand一unless Sanderson cleans up its act. Antibiotics are the most important tool of modern medicine, and we all have a role to play in ensuring their responsible use so they work when we need them — both in the doctor's office and on the farm. The inappropriate use of human antibiotics in agriculture is seen as one of the culprits in the over 2 million illnesses and 23,000 deaths caused by drug-resistant bacteria each year in the U.S., according to the Centers for Disease Control and Prevention (CDC). Please sign our petition telling Weis Markets that you want a better choice for your family. 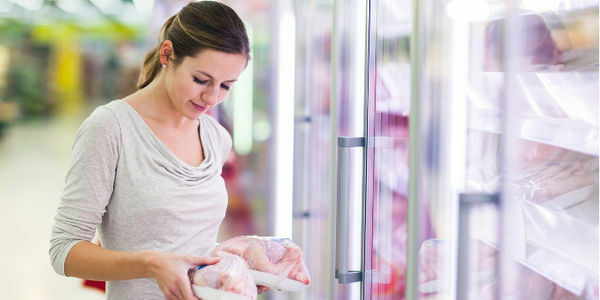 Please help fight antibiotic-resistant superbugs by adopting a responsible antibiotic use policy for your store brand chicken. By selling Sanderson Farms poultry as the Weis Markets store brand, Weis is making its shoppers unknowingly complicit in supporting a poultry company that continues to routinely use medically important antibiotics to their chicken, a practice that creates dangerous antibiotic-resistant bacteria that can spread to people. We call on Weis Markets to adopt a responsible antibiotic use policy for the store brand poultry that prohibits vendors from the routine use of antibiotics on farm animals that are not sick. We need Weis to do its part in protecting this critically important tool of modern medicine from extinction.